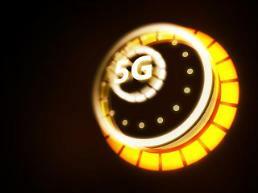 SEOUL -- South Korea's top mobile carrier, SK Telecom, agreed with IT&E, which offers telecoms services in Guam and the Commonwealth of the Northern Mariana Islands (CNMI), to expand cooperation in the establishment of a 5G mobile network. SKT and IT&E agreed to commercialize a 5G mobile service in Guam and Saipan in the second half of this year with a fixed wireless access (FWA) system that can replace wired services. FWA provides high-speed communication services over wireless instead of wired networks. The agreement was signed in Guam. SKT CEO Park Jung-ho said in a statement on Thursday that the partnership with IT&E would become a catalyst for SKT's 5G technology and new ICT leadership to spread beyond South Korea. SKT would provide its 5G network design optimized for a local environment and operation know-how for high communication quality. Last year, SKT became the second largest shareholder of IT&E by purchasing shares worth about 35 billion won ($31 million) after the Philippine-based Delgado family. The earlier tie-up enables SKT to provide a faster, more reliable mobile service to customers who visit Guam and Saipan, which are among the top overseas vacation destinations for South Koreans. SKT and IT&E also agreed to cooperate in mobile edge computing. 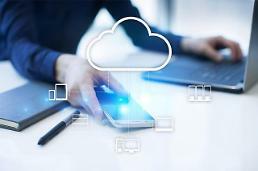 A 5G network equipped with mobile edge computing dramatically improves the quality of customer experience and provides high-speed data processing in real time. They discussed cooperation in security solutions. SKT has developed a quantum cryptographic communication solution. At this year's Mobile World Congress in Barcelona, SKT demonstrated a 5G security solution, based on its convergence technology of quantum cryptography, which allows the completion of various cryptographic tasks. In October last year, SKT agreed to invest in MobiledgeX, an edge computing company founded by Deutsche Telekom AG, the largest telecom provider in Europe. Mobile edge computing technologies, which can reduce data transfer time, are useful for autonomous driving and other 5G-related services.